"Deeply personal and profoundly moving...An American Jew has filled me with the love and pride for my brothers and sisters, the Children of Israel." -- Randall Wallace, author of BRAVEHEART and director of HEAVEN IS FOR REAL Steven Pressfield grew up assuming he was like every other kid in his red-white-and-blue, Sunday-School attending, Christmas-tree decorating suburb. Then at age thirteen he found out he was in fact not a member of that tribe, but of a very different one. 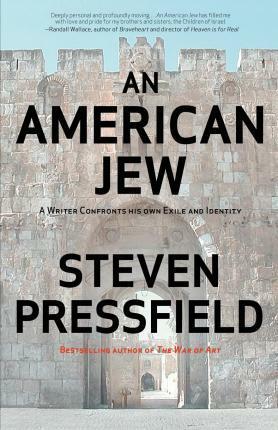 Five decades later, in November 2011, Pressfield boarded an El Al jet bound for Israel. At long last, he'd committed to researching and writing THE LION'S GATE, a book that would finally wrestle with the riddle of his own identity. What he learned as an artist and a man in the three years it took to complete the work is the subject of AN AMERICAN JEW, an on-the-front-lines account of the creative process...in all its wonderfully confounding forms.